Announcement WELCOME to both Key of A® and SureShot™ Jewelry! 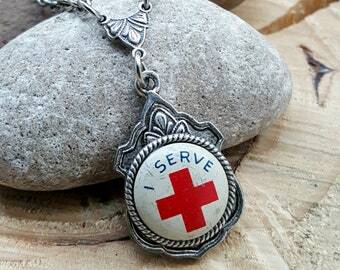 You've landed in the right place if you are looking for either the widest selection of original repurposed & upcycled jewelry & accessories called Key of A - one of the oldest shops on Etsy for this kind of jewelry! 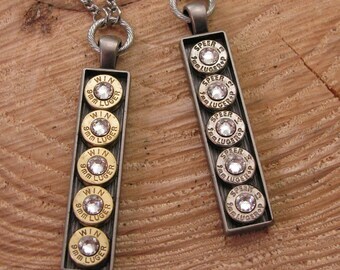 We are also the creators of the oldest & largest designer shotgun & bullet casing jewelry & accessory collection - SureShot Jewelry. 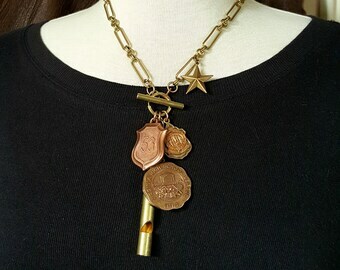 Key of A® is home to SureShot™ Jewelry, the ONLY copyrighted shotgun and bullet casing collection in the United States. 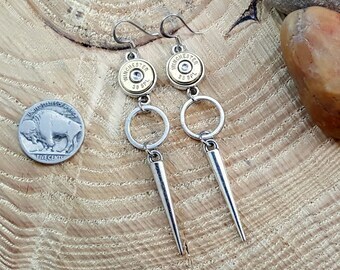 We remain a step above all of the "run of the mill" bullet jewelry you see congesting the Etsy platform these days and after over six years of being on the market! Our designs were created and are original dating back to 2009. We take pride in being the inspiration for so many of the newer shops, but rest assured our quality and design standards, our craftsmanship and mechanics, make our jewelry and accessories stand out and are superior. Compare ours to any and you will see the differences! 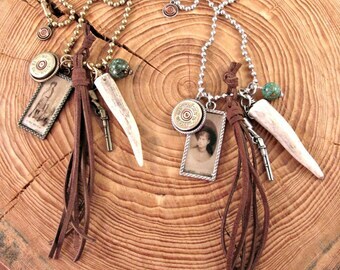 You can find select pieces from SureShot™ here in our Key of A Etsy shop or visit our awesome SureShot Jewelry website at www.sureshotjewelry.com to see the entire collection. 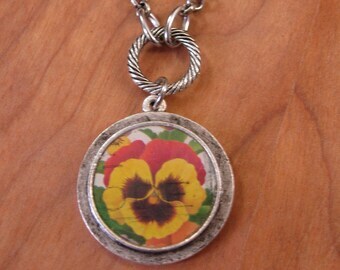 Key of A® is an upcycled jewelry and accessory company that was founded in 2008 with a single typewriter and has blossomed into a smorgasbord of repurposed designs. We hand pick found objects and pieces that speak to our artistic vision and create styles that are wearable and fashion forward. Like we say in our listings, we've been upcycling everything but the kitchen sink since we started back in 2008. Newer shops may copy us, but they never equal us! Who wants a copy when you can buy from the original artist anyway! Welcome to the shop and feel free to contact us with your special requests. We house thousands of unique trinkets, objects, and small antiquities as well as an enormous inventory of casings and calibers of shotgun shells, bullet and rifle casings, all in our Quincy Illinois studio. 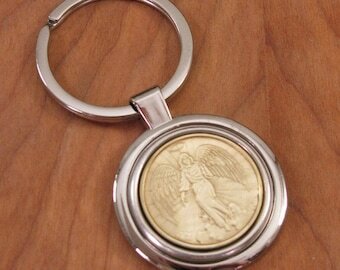 Have your own small antiquities or special pieces? We also use customer submitted components! Email us for more information. Shop around and compare. We opened our shop back in January of 2009 and started upcycling before "upcycling" became mainstream! We have a 5-star rating and we love our customers! Our original works designs have been on television, graced national magazines, local and regional papers, endorsed by celebrities, authors and other public figures and we have even gifted celebs at the major award shows. We participate in local, regional and national shows and have won awards for "Best Booth". Check out our social media pages for either/both collections to learn where we will be exhibiting. 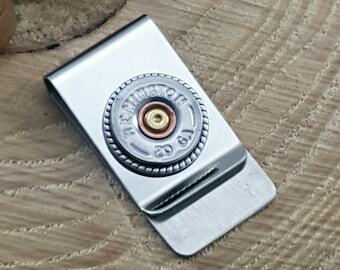 Select pieces from our brand SureShot™ Jewelry are available here in our Etsy shop. We are the oldest producers of this type of jewelry in the country and we own the only US Patent for the process of manufacturing bullet and shotgun casings into jewelry applications. 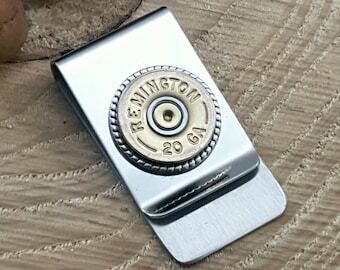 We have the widest and highest quality, artisan crafted selection of shotgun and bullet casing jewelry and accessories you will find featuring a full selection for both men and women. The complete body of work is registered with the US Copyright Office. See more information below. SureShot designs have been gifted to celebrities Khloe Kardashian, Tom Cruise, Katie Holmes and Georgia Pellegrini with select designs from this popular and ever growing collection. SureShot™ lined the celebrity gift bags at the 2012 Prime Time Emmy Awards as well as the Country Music Awards. SureShot is endorsed by the largest huntress in the country, Melissa Bachman of Winchester Deadly Passion. Melissa wears our jewelry all over the US. If you see jewelry on Melissa, it is from SureShot Jewelry! Overall, our collection tops 500 pieces of stylish, hip, country, biker, rocker, western, steampunk and more, all of which are rolled up into this fashion forward one of a kind collection called SureShot™ Jewelry! As we say, "It's Loaded with Style!" A note about our typewriter key jewelry. All of our designs are original to us as we started creating this genre of jewelry in 2008 before many latter shops came into existence on this platform. If you see other shops that opened in later years that are selling our designs, know that they are copies and not our work, our craftsmanship, our quality US components or chains. They are basically infringements of our work and we hope you value originality and the hard work we took to create those original designs way back in our early years and will not purchase from those shops, but instead, purchase from the original artist! Why buy a copy when you can have the original?! Price does equate to quality and proper jewelry mechanics as well as authenticity when it comes to typewriter keys being utilized in jewelry. Our keys are removed from actual vintage typewriters and go through a rigorous process to prepare them for use in jewelry. We never open the keys and use fake "key legends" inside, but keep the keys in their original state. Patina, dents, discoloration and crazing are all evidence that our keys are real and that's what makes this genre of jewelry so attractive. We resell the rest of our machines to restorers and we use ALL keys from EVERY keyboard. You won't find us selling cups of unused keys on Ebay. LOOKING TO CARRY SURESHOT JEWELRY IN YOUR SHOP? If you are a retailer, gun or tactical shop, high end boutique or western wear shop, we are always looking for new retail partners. We have WHOLESALING OPPORTUNITIES available in several states to carry this exclusive collection. 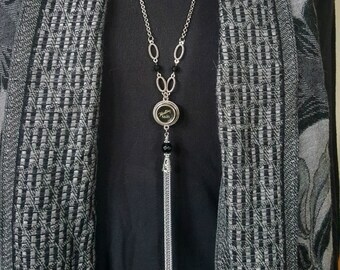 Please visit our SureShot™ website at www.sureshotjewelry.com and click on the "Become a Retailer" link at the top or bottom of the Home Page. A retailer application is available to fill out to start the process of opening an account with us. Just want to inquire? 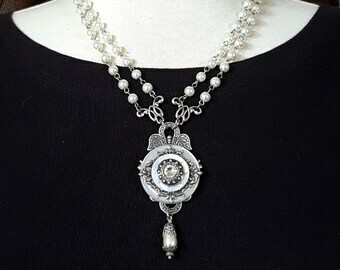 Please email us at wholesale [!at] sureshotjewelry.com for more information. SureShot uses only USA produced and plated components, only USA packaging, most of it recycled or organic and our leather is also produced right here in the US. COPYRIGHT NOTE: THE SURESHOT DESIGNS WE LIST IN THIS ETSY SHOP AS WELL AS THE COLLECTION ON OUR SEPARATE SURESHOT JEWELRY WEBSITE ARE REGISTERED WITH THE U.S. COPYRIGHT OFFICE AND OWNED EXCLUSIVELY BY THE KEY OF A, LLC. WE REPORT ALL INSTANCES OF INFRINGEMENT OF OUR SURESHOT DESIGNS TO ETSY AS WELL AS TO OUR ATTORNEYS FOR FURTHER LEGAL ACTION. WE PURSUE ALL INFRINGEMENT BEYOND YOUR ETSY SHOP, INCLUDING ANY WEBSITES YOU HAVE, FACEBOOK PAGES, PINTEREST, TWITTER AND INSTAGRAM, SHOWS YOU MAY PARTICIPATE IN YOUR LOCAL AREA, ETC. SO JUST BECAUSE YOUR INFRINGEMENT INSTANCES ARE REMOVED THROUGH ETSY, KEEP IN MIND THAT WE WILL PURSUE YOUR OTHER PLATFORMS AS WELL. IT IS ADVISED THAT IF WE REPORT INFRINGEMENT THROUGH ETSY AND ETSY TAKES DOWN YOUR LISTINGS, THAT YOU PROMPTLY REMOVE THOSE LISTINGS FROM ANY OTHER PLATFORM YOU OPERATE WHERE THAT INFRINGEMENT IS OCCURRING. COPYRIGHT LAW IS NOT PRETTY WHEN YOU ARE THE INFRINGER, SO DON'T COPY OTHER ARTIST'S WORK TO BEGIN WITH. IF YOU ARE TRULY AN ARTIST, YOU WILL CREATE YOUR OWN DESIGNS! 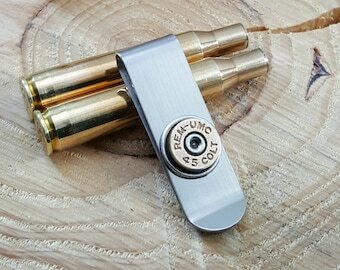 PATENT INFORMATION: OUR METHOD FOR PROCESSING SHOTGUN AND BULLET CASINGS INTO JEWELRY APPLICATIONS HAS BEEN GRANTED A PATENT BY THE USPTO SO PLEASE DO NOT ASK HOW WE MANUFACTURE OUR CASINGS IN AN EMAIL. PLEASE REFRAIN FROM COPYING ANY OF OUR WORK, OR EVEN FINDING INSPIRATION FROM OUR DESIGNS (WHICH CAN ALSO BE CONSIDERED INFRINGEMENT) BY LINGERING IN OUR SHOP. IF YOU RECEIVE A NOTICE, PLEASE TAKE IT SERIOUSLY AS OUR ATTORNEYS WILL PURSUE ANY AND ALL INSTANCES OF INFRINGEMENT, PLAGERISM, ETC. IF WE HAVE NOT GRANTED YOU A LICENSING AGREEMENT TO REPRODUCE OUR WORK, DO NOT PRODUCE OUR DESIGNS. Thanks for visiting us and we hope you find something you like! WELCOME to both Key of A® and SureShot™ Jewelry! You've landed in the right place if you are looking for either the widest selection of original repurposed & upcycled jewelry & accessories called Key of A - one of the oldest shops on Etsy for this kind of jewelry! We are also the creators of the oldest & largest designer shotgun & bullet casing jewelry & accessory collection - SureShot Jewelry. 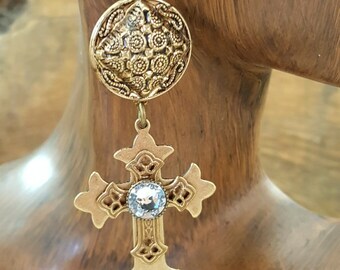 Longtime Artist, Designer and "Old Soul", turns passion for the past and all things vintage, into a successful upcycled jewelry and accessory company. Lifelong artist, schooled in art & design, a seasoned rehabber, a trash to treasure upcycler, jewelry artisan for the last 8 yrs, an inventor with the only US Patented shotgun/bullet casing collection in the country, SureShot Jewelry. We stand behind everything we make, so please do not hesitate to contact us if something is mechanically amiss as far as your purchase. We understand that sometimes a component may be defective or doesn't work as it should. We will correct such aspects! If a component is an antiquities or vintage piece, please refer to the listing description as some of these antique components may be inoperable and noted there. Regarding other returns and exchanges, please refer to our complete policies below before contacting us with special note to the section marked with three asterisks (***).